snom, a German developer and manufacturer of SIP devices, has announced the release of snom ONE – a new family of IP PBX systems that runs on standard servers. 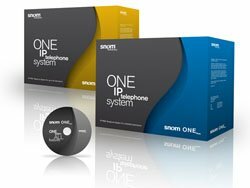 According to the company, snom ONE will provide customers with an IP telephony system which supports all the functionalities of snom IP phones. AT&T announced that new and existing virtual private network (VPN) customers may add VoIP service to the network solution delivered over AT&T’s global network cloud. This converged solution is said to enable customers to consolidate their separate voice and data networks, reduce equipment and maintenance costs, and simplify migrating these complimentary capabilities to a common, secure infrastructure. VoicePulse and IPitomy announced that they have successfully completed interoperability testing between SIP products and services. VoicePulse is now interoperable with IPitomy’s Pure IP PBX platform. OnRelay has released its mobile PBX solution following successful trials in Europe, Asia Pacific and the Middle East. The Cellular Fixed Mobile Convergence (FMC) provider said Unified MBX provides Unified Communications (UC) without the expense of proprietary telephony hardware or IP PBX licenses. Media5 has released a SIP client application that allows the Apple iPhone and iPod Touch to be used as a IP-PBX extension. The company says the full-featured softphone enables the Apple devices to be used to access the same phone services and features as if they were in the office. Fluke Networks has released a new version of its NetAlly VoIP Assessment and Troubleshooting Software designed to help eliminate risk associated with deploying or expanding VoIP services. Version 7.0 of the package works by assessing the current state of the network and previewing the service before it is deployed on that network. 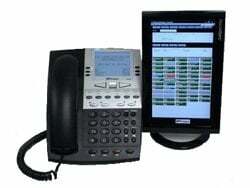 8×8 today announced the availability of an enterprise version of its hosted IP PBX phone service. The solution is intended for deployment in larger organizations located in either a single building, a campus environment or distributed across multiple locations.